Day 1 – Cornish hills. Probably some of the toughest in the world. Bon Voyage! Sorry not to catch you again before you left, may life’s chances roll your way on the open road, all the very best! Good luck to Chris and Dan from all at Street Child Africa! We’ll check your blog to see how you’re getting on. And big thank you for supporting us and the children we help. Best of luck guys the trip sounds absolutely incredible I have much respect for both of you in particularly considering you are brothers if you don’t kill each other at some point it will be a miracle, i’m sure me and my brother would no matter how much I love him. 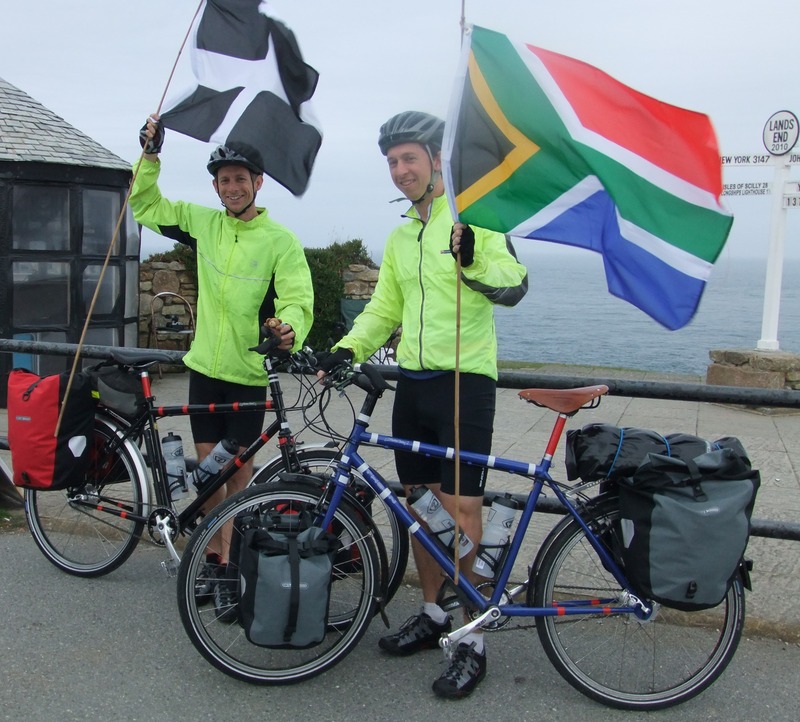 I always fancied doing this trip by Morris Minor but never would have considered it by bike alot of respect to you both, will be contributing to the cause and monitoring your progress. I have been following your travels too, looks amazing. Let’s hope we don’t kill each other!